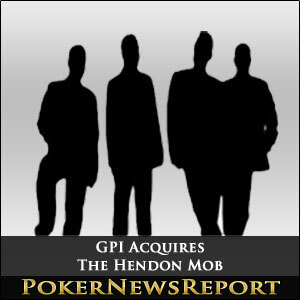 In what is one of the biggest mergers in poker for a while, it has been announced that the Global Poker Index (GPI) has acquired The Hendon Mob Limited. With over a quarter of a million players and nearly 70,000 events, The Hendon Mob is known in the global poker world as having the most comprehensive database of poker players, venues, festivals, events and live tournament poker results. Perhaps lesser known in the world, but most certainly known in the UK’s poker circles, the site also currently boasts the largest online poker community in the UK. The tremendous reach of The Hendon Mob site was highlighted by GPI’s CEO Alexandre Dreyfus. Mr Dreyfus said that the site would be even more comprehensive now that it has been acquired by his company. The Hendon Mob and the Global Poker Index are a natural fit to put together. As a combined company, they truly form an authoritative hub for all poker players, particularly those who compete in live events. Mr Dreyfus’ sentiments were supported and echoed by Barny Boatman, who was one of the four founders of The Hendon Mob site 12 years ago. Mr Boatman said he was happy at the fact the site would now come under the GPI banner. With the expertise, resources and commitment of the Global Poker Index, the legacy of The Hendon Mob is safe and its future is secure he said. We are excited about the upcoming developments from which everyone in poker will benefit, and we will continue to give our enthusiastic support to the Global Poker Index and Hendon Mob project. GPI has already outlined some of its plans with The Hendon Mob site, which include adding online leagues and other membership incentives in an attempt to further grow its UK online poker community. The company has also said that it aims to invest and maintain the site’s operational team. GPI also highlighted plans to expand its database to an even broader range of tournaments and provide tournament results faster after they finish.